The verdict: Nearing the end of the road for this generation, the Rogue shows its age in interior design, media tech, loose driving dynamics and raucous CVT behavior. Versus the competition: It lacks the refinement of newer rivals but is still a roomy and comfortable choice. Styling updates and more active-safety tech keep the aging Rogue in the game. The 2019 Nissan Rogue is paddling as fast as it can to keep up in the red-hot compact SUV race. Feature updates and new driver-assistance tech have helped it keep pace, and it remains a leader in roominess and comfort. But time is catching up with the Rogue, which was last redesigned for the 2014 model year, and fresher rivals are showing up with much better driving manners and higher-quality interiors. Those demerits led the Rogue to finish seventh out of seven top-trim-level SUVs in our 2019 Compact SUV Challenge. That said, it wasn’t far off the pace in the closely matched competition, and while it didn’t lead in any categories, it was runner-up in several, including driver-assistance and safety technology, as well as front-seat comfort. 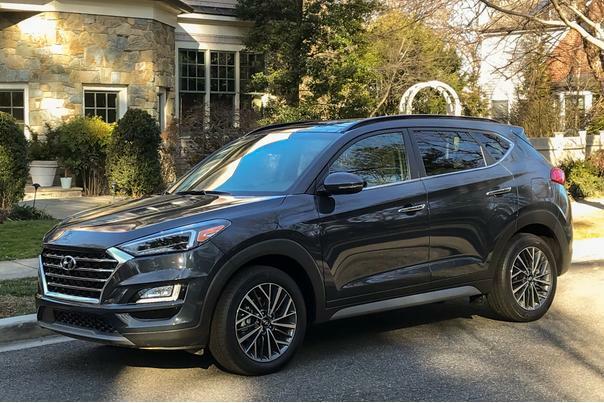 And while it was dinged for its dated interior and lackluster driving experience, a lot of compact SUV shoppers might care more about the space and comfort it offers. The 2019 Rogue is offered in base S, SV and SL trim levels, and a hybrid version is also available in SL and SV trims. The Rogue has a more traditional SUV appearance than a lot of new crossovers, and the design still has curb appeal. 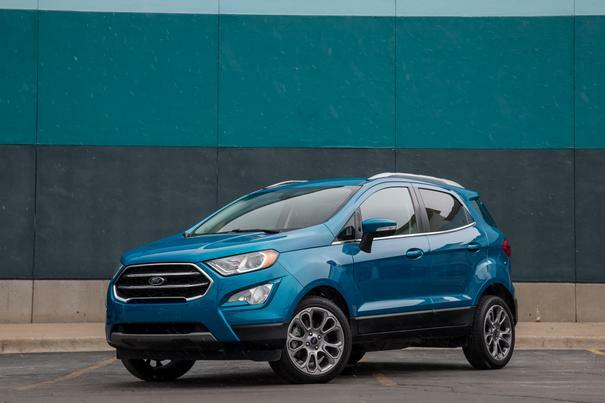 The tall, squarish shape is also functional, contributing to the Rogue’s ample people and cargo room. An aggressively sculpted face gets a full dose of Nissan design DNA, with a large and deep version of the family V-Motion grille and LED daytime running lights (LED headlights are available). The profile is marked by a low, dipping beltline and big wheel arches, bearing a strong resemblance to other Nissan SUVs. Large, angular taillights sit high on the corners of a busy rear end. The base S gets 17-inch steel wheels (alloys are optional), the SV gets 17-inch alloys (18s available) and the SL has 19-inch rims — the best fit for the Rogue’s big arches. Your first impression inside is how spacious it feels for a compact SUV. The front seats are broad and well-cushioned. They lack much lateral support, but you won’t be carving canyons in the Rogue anyway. Headroom is excellent even with the panoramic moonroof. Things aren’t economy class in the rear seat, either: It reclines and slides, so you can prioritize seating or cargo — or move a child within reach. And at 6-foot-2, I found my head didn’t brush the ceiling, nor did my knees hit the front seat behind a tall driver. Large, wide-opening doors also ease access (and getting your child into a car seat). The low beltline and big windows add an airy feel, even in versions without the big moonroof. My SL test car had a heated steering wheel and heated front seats, though many competitors offer rear-seat heaters, as well. The layout of the dashboard and operation of the controls was mostly logical and easy with the exception of an odd location for the blind spot warning switch and drive mode controls; they’re down by the driver’s left knee, making them hard not just to use but even to see. The cabin is average for wind and road noise, but it loses the struggle to filter out the noisy powertrain. The standard 7-inch center touchscreen seems old-school these days, and so does its cluttered user interface design. It’s also positioned too far below the driver’s line of sight, but the system is easy to use and has welcome shortcut buttons, plus volume and tuning knobs. While Apple CarPlay and Android Auto are standard, even the top SL trim has just two USB ports, one at the front of the center console and one in the console bin. If you haven’t bought a car in a while, that might seem fine, but others are more USB-generous, including charging ports for the backseat. The Rogue had one of the first 360-degree camera systems in a compact SUV, and it’s standard on the 2019 SL, but rivals also have them now — most with sharper resolution. If there were a stronger powertrain, you still wouldn’t be tempted to push the Rogue. Even moderately hard cornering or evasive maneuvers bring out lots of body lean and tire scrub. In return, however, you get a soft, compliant ride. Despite the body motion, it might be a worthy tradeoff if your commute is on rough city streets. The steering is very light, and the brakes feel soft and are slow to react to more pedal pressure, while the chassis allows considerable nose dive on hard braking. The Rogue is among the leaders in the compact SUV category when it comes to EPA gas mileage ratings: 26/33/29 mpg city/highway/combined with FWD (27 mpg combined with AWD). That’s close to the 30 mpg combined estimate for front-drive 2019 versions of both the RAV4 and the CR-V (with its more efficient engine). Compare them here. In real-world testing during our Challenge, however, Rogue gas mileage was well behind those two; it tied for last in the Challenge. For better mileage, the Rogue offers a gas-electric hybrid version of the top two trim levels, which I did not test. The hybrid system uses a 2.0-liter four-cylinder with an electric motor, making for a net output of 174 hp with front- or all-wheel drive. It’s EPA-rated at 33/35/34 mpg city/highway/combined (33 mpg combined with AWD). That compares well to the 2018 RAV4 Hybrid AWD, but it’s no match for the redesigned 2019 RAV4 Hybrid, which gets an estimated 40 mpg combined with its 219-hp hybrid system and standard AWD. Compare them here. As with its roomy seating, the Rogue shines when it comes to cargo room. It offers 39.3 cubic feet behind the rear seat 70 cubic feet with the backseat folded. That’s in a league with the capacious CR-V (39.2 and 75.8) and the RAV4 (37.6 and 69.8). And the Rogue has more flexibility, with a 40/20/40, split-folding backrest (though the center section doesn’t fold flat with the floor) and a front passenger seat that folds rearward to help fit longer items. The rear cargo area has storage space under the floor and features a cargo system that can be configured for multiple floor heights, an upper cargo shelf or divided space. You might find the configurations helpful, but I’m not sure how much I would use them. Also, the plastic supports for the system on the sides of the cargo area will get in your way when you want maximum open space. A hands-free power liftgate is standard on the SV and SL. I wanted more and better cabin storage space for smaller items so I could save the cupholders for cups. There are small door pockets (very small in the rear doors) and a smallish center console bin. There’s also a shallow space at the front of the center console where you might put a phone, but it’s neither the shape nor the size of a phone. The Rogue earned top scores in five Insurance Institute for Highway Safety crash tests; it has not yet undergone the difficult passenger-side small overlap front crash test. The standard front crash prevention system with automatic emergency braking earned the agency’s top score, and the LED headlights that are optional on the SL rated acceptable. 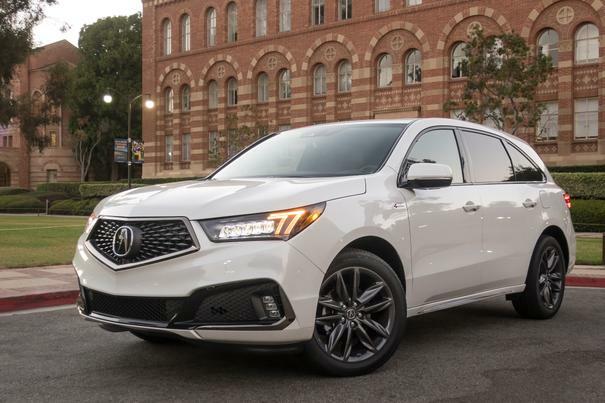 The standard headlights for all trim levels, however, were rated poor. The 2019 Rogue meets or beats even its newest rivals in the latest safety and driver-assistance tech. Standard on all Rogues is a forward collision warning system with automatic emergency braking and pedestrian detection, as is lane departure warning, automatic high beams, blind spot monitoring and rear cross-traffic alert. New for 2019 is rear automatic braking and rear parking sensors for SV and SL trim levels. Also standard on the SL (and optional on the SV) is Nissan’s excellent ProPilot Assist driver aid system that combines adaptive cruise control with stop and go and an advanced lane-centering system. It handles acceleration, braking and steering in highway driving with marked lanes. There are similar capabilities in some other compact SUVs, but Nissan’s system is one of the simplest to use — and the most reliable. Just press the blue ProPilot button on the steering wheel and set the cruise control speed and you’re good to go. A dashboard graphic and alert clearly let you know when it's engaged or disengaged. Forgetful people and busy parents will appreciate the 2019 Rogue’s new standard rear door alert, which reminds you to check the backseat once you’ve parked if either rear door was used when you departed (if you haven’t already reopened it after stopping). It starts out with a dashboard message, like similar systems, but escalates to horn chirps if you don’t respond. The Rogue also rates well for accommodating child-safety seats. See Cars.com’s 2019 Rogue Car Seat Check. The 2019 Rogue starts at $25,965 for the base S with front-wheel drive (all prices include destination fees). It has more standard features — including advanced safety tech — than a 2019 CR-V LX ($25,395 with FWD) and matches up well on features with a 2019 RAV4 LE ($26,595). Pricing ranges up to the AWD SL trim ($33,785) versus a CR-V Touring AWD ($35,195) or a RAV4 Limited AWD ($35,995). You can compare the Rogue’s features by trim level with these rivals here. Hybrid Rogues range from the SV with FWD (starting at $28,645) to the SL with AWD ($33,935). The practical and roomy 2019 Rogue isn’t a bad choice if its best points match what you most value — and if you get a good price. The competition is close, but several newer rivals are better than merely OK. They should get a look before you buy.